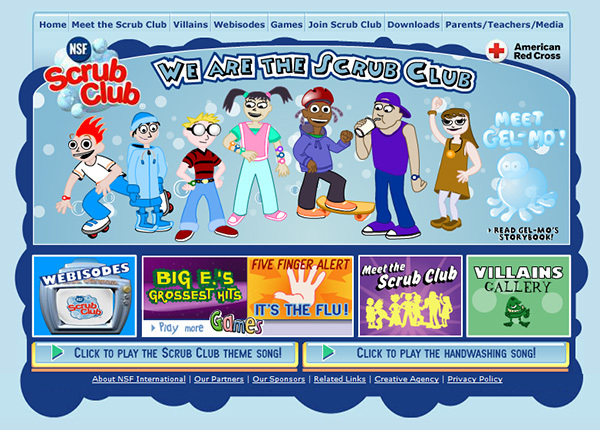 The Scrub Club website was a project I built with my talented friends Tom Fugleberg, Chris Henderson and Ross Teichner when I was working at Olson. It features a team of “soaperheroes” who fight to teach children how to keep their damn, dirty paws clean. We had a whole lot of fun making this Flash website… it includes a number of games, an over-10-minute animated “webisode,” a storybook, and a lot of other fun content. 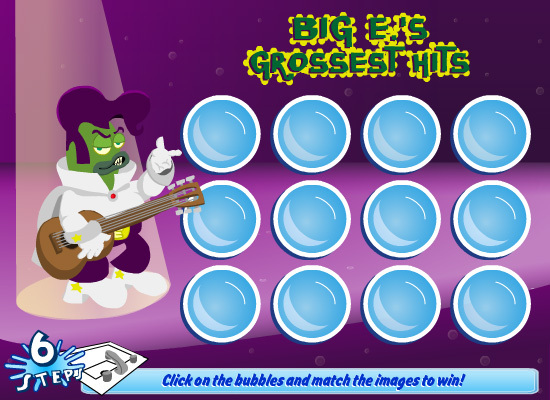 The part of the site I am proudest of is the “Big E’s Grossest Hits” game, which features a bacterial Elvis impersonator.